Pianist Danny Grissett, known for his work with Nicholas Payton, Tom Harrell and Vincent Herring, continues to deliver on the promise of his aptly-titled 2006 Criss Cross debut as a leader. 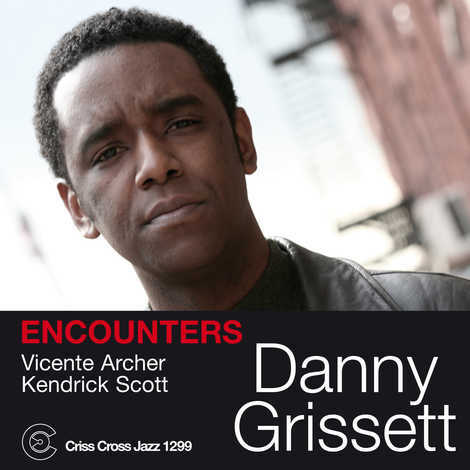 Featuring the same line-up as Promise - sensitive but effervescent bassist Vicente Archer and the equally intuitive and vibrant drummer Kendrick Scott - Encounters finds this young trio mining an interesting mix of original material and jazz standards. Running the gamut from elegant balladry to grooving soul-jazz and unshakable swing, all with a modernistic approach to harmony, rhythm and composition, the Danny Grissett Trio ensures that modern acoustic jazz remains alive and moving forward.